How could you fail? Just look at the guy. He's doing all the work here, I just point the thing. Next month in The Fly! So we got the incredibly sharp Arctic Monkeys into the studio for next September issue of The Fly. 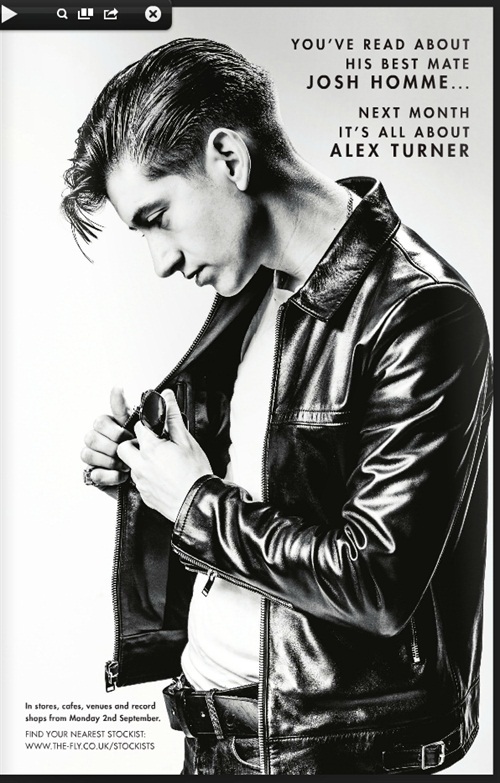 I mean, have you seen Alex Turner lately? He looks slick. Can't wait for that one to drop. In a month. God, what am I going to do til then? Answers on a postcard please.